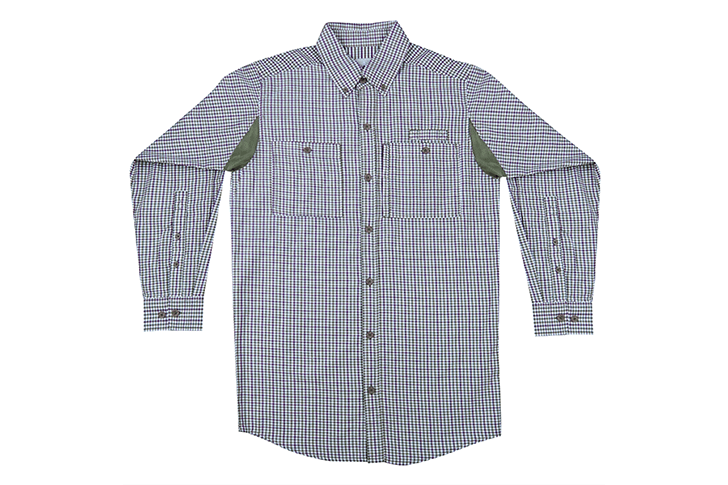 The Ultimate Hybrid from Capital Sportsman is more than a great fishing shirt. Capital Sportsman set out to design one shirt that would be functional for any outdoor activity, while being stylish enough for indoor activities – the ultimate hybrid shirt. Available in three original patterns, four solid colors and limited-edition seasonal patterns, it was designed for comfort and is made of a 100% cotton twill fabric with a baby-soft hand. It also has a special “soft-as-butter” under the arms and in a back vent which provides exceptional ventilation. A relaxed fit provides freedom of movement for casting. Other features include a roll-up sleeve tab, two easy-access chest pockets and a secured zipper pocket for important documents such as a license or passport. There is also a utility loop, which is important if you need to keep that extra fly handy.